Improving your shuttle service experience can help your dealership win more customers and generate higher sales. Customer service impacts heavily on your brand and for car dealerships, it does not end once the keys are turned over to the buyer. Every owner fears the day their car breaks down when they need it the most. Your dealership shuttle service can come in and save the day. The shuttle service makes it easier for the car owner to endure the inconveniences of having the vehicle undergo servicing. They don’t have to rely on friends or family for a ride. They can get through their day’s activities without affecting their schedule by much. But if you don’t invest time and resources to make the shuttle service experience better, it can turn your dealership from hero to zero faster than a tire change at NASCAR. What are the common pitfalls of poor shuttle service experience? A customer ends up waiting for several hours in the reception area because the shuttle service pickup schedule was not updated correctly. The shuttle fails to service the customer because the dealer did not get accurate details on the pickup arrangement. The shuttle service arrives late because the driver got stuck in traffic. The customer does not get serviced because last-minute changes in arrangements were not received on time by the shuttle driver. The customer is not updated on the repair status of the vehicle and has to frequently call the dealer to find out. These experiences are inconveniences that can seriously tarnish your brand. In this day and age of social media, customers can vent their ire on the Internet which is home to more than 3 Billion people every day. The last thing a car dealership would want is negative online publicity. Your dealership shuttle service plays a big part in enhancing customer service and leaves a long-lasting positive impression on your buyers. Here are the top 10 ways to improve the car dealership shuttle service experience. Having to endure car repairs can be a big inconvenience to your customer. Don’t inconvenience the customer further by showing up late at the designated pickup point. The shuttle service should be at the location 10 minutes earlier than the appointed time. Being early allows for changes in schedule. 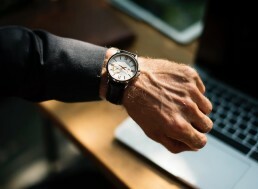 If the customer says he/she might be late by 30 minutes and you have another scheduled pickup in 15 minutes, the driver can coordinate with the dealer to either send another shuttle or to advise the other client of the change in arrangements. Accidents and mechanical breakdowns can happen anywhere. A customer could be at home, the mall, school, the office or the job site. Always take the time to get the pickup details accurately from the customer. If you are not sure where the location is, press on for details. Better still, use an app that can give you the exact location of the pickup address including the best route to arrive there on-time. Keep in mind that a shuttle can have multiple pickups in a day. The car dealership service department must see to it that shuttle schedules are organized properly. The driver should also be given a copy of the schedule including complete and accurate details. Constant and precise communication is a key component in ensuring the efficiency of your shuttle service. The service department should never assume that the driver has completely understood the instructions. Before the shuttle is sent out, it would be a good idea to run through the details of pickup schedule. Wouldn’t it be embarrassing if your dealership shuttle service also broke down while attending to the needs of the customer? Not only would it be embarrassing, but it would further add to the frustration of your client. Or what if your shuttle service’s air-conditioning system fails to run on an otherwise hot and humid day? Your dreams of providing excellent shuttle services will end up becoming a nightmare experience for the customer. Make sure the shuttle service vehicles are in fine working condition before setting them out on the road. Remember that customer experience will significantly reflect on your company. What thoughts enter your head when you open the backseat of a car and see empty candy wrappers, discarded tissues, and food debris on the floor while there are unsightly stains on the upholstery? And what about the intolerable smells? Those thoughts are exactly what your customer will be thinking if the shuttle service is not properly cleaned. You don’t have to go for that “new car smell” every time. But make it a point to clean the upholstery, remove trash and sanitize the interiors before having your customer ride in it. Remember the popular saying, “First impressions last”. Some customers may not feel comfortable using a shuttle service because they think their destination could be “out of the way” or an “inconvenience” for the car dealer. Yes, customers can be really nice, considerate people! This is an opportunity for you to highlight your car dealership’s focus on customer experience. Assure the customer that would be fine. The objective is to help the customer resume their original schedule without much interruption. They would greatly appreciate it. Traffic and weather share one common characteristic. They can change without warning. The best thing you can do is to stay updated on traffic and weather conditions. Once you have the details on the customer’s pickup time and location, get frequent traffic status and weather updates. There are apps that can be downloaded on your driver’s phones to make the process easier, faster and more accurate. If traffic or weather conditions are changing for the worst, start planning for alternative routes and get a head start on the pickup schedule. 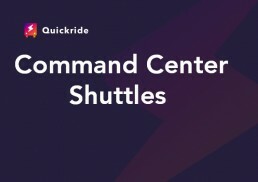 As another popular saying goes, “the best-laid plans often go awry.” Despite having the accurate details for the shuttle service arrangement, changes in schedule can happen from the side of the customer. He/she could have unexpected visitors or the meeting was extended beyond its allotted time. This is another reason why having fast and efficient communication channels are important. These sudden, last minute changes can happen without warning. The changes should be relayed to the driver as soon as possible. At the same time, a review of the current schedule for the day must be made to make sure other customers will not be inconvenienced. Apps are created to make life and work easier. In a technology-driven world, consumers and businesses alike depend on mobile devices to meet their daily needs and demands. You can basically find an app for every task or responsibility that you want to be done. As we discussed earlier, you can download an app that can give you updates on traffic and weather conditions. There is an app that will help you organize schedules and relay messages to all parties involved if there are unexpected changes. Why not consider having an app designed for your car dealership shuttle service? The app can organize schedules and input changes automatically and seamlessly. It will give your drivers all the details of the pickup arrangement plus regular updates on traffic and weather conditions. Your customers can likewise download the app so they can remain constantly informed of the whereabouts of the shuttle service. The customer can also communicate directly with the driver and save valuable time. For car owners, nothing feels better than hearing the words, “Sir/Ma’am, your car is ready for pick up.” The car is no longer a luxury but a necessity. Knowing that the vehicle is in road-worthy condition is a big stress-reliever. The shuttle service should always stay coordinated with the car dealership’s service department on the status of the vehicle. In addition to reassuring the owner that the car is in good health, it also helps the schedule run smoothly. The customer might be taking his/her time shopping for baby clothes at the mall. By informing the customer that the car will be ready in 10-15 minutes, he/she can pick up the pace and be at the dealership as soon as possible. Every buyer remains a potential source of revenue. He/she can buy another car or refer customers to your dealership. Their experience with your car dealership is only as good as the last one. Always keep in mind that the relationship with your customer will not end once they ride off in their car. No matter how technologically advanced the car is, the owner will encounter problems sooner or later. They will need your assistance not just in servicing the vehicle but in getting through the day. Your dealership shuttle service will be a godsend. Invest time and resources in making your shuttle service experience more memorable and convenient for your customers. The cost of introducing improvements will be outweighed by the benefits your business will derive from it. Happy customers might show their appreciation by giving your car dealership repeat business or new clients in the future.